I honestly hadn’t used this product before someone recommended to me last week! It is so good for freshening up rooms and fabric furniture. I would not say it does anything for actually cleaning but for a quick freshen up especially on old carpets it is amazing!! 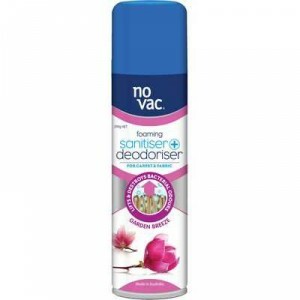 How would you rate No Vac Sanitiser & Deodoriser Carpet Garden Breeze?